This is a patented aerodynamic frontal module to minimize wind resistance. It could be used on other types of caravan. 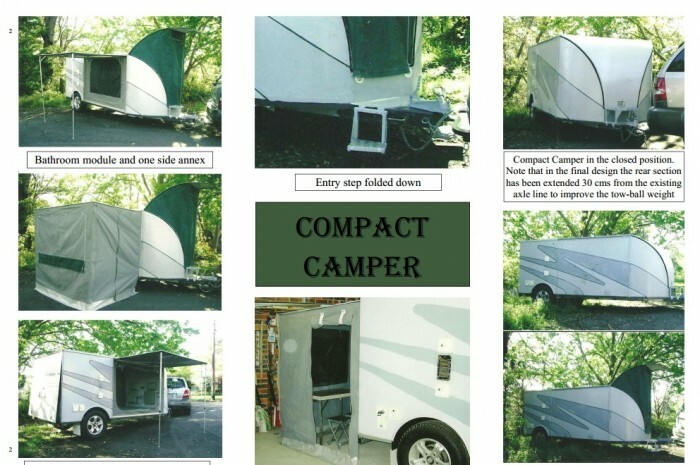 The compact camper was designed as a low cost unit that could be towed by a small car and suitable for families or retirees on a limited budget. Also having a quick and simple set-up and providing an on-board bathroom and kitchen that are accessible for roadside stops. With a gross weight of just under 2,000 pounds [900 kg] and with a length of 180 in. [4.6m.] and a width of 72 ins. [1.8m. ], a height of 75in. [1.9m.] the Compact Camper can be easily towed by a small car and can be accommodated in a home garage. The trailer is self-sufficient for three days in a ‘free’ camping area without services. This listing is for an outright sale. 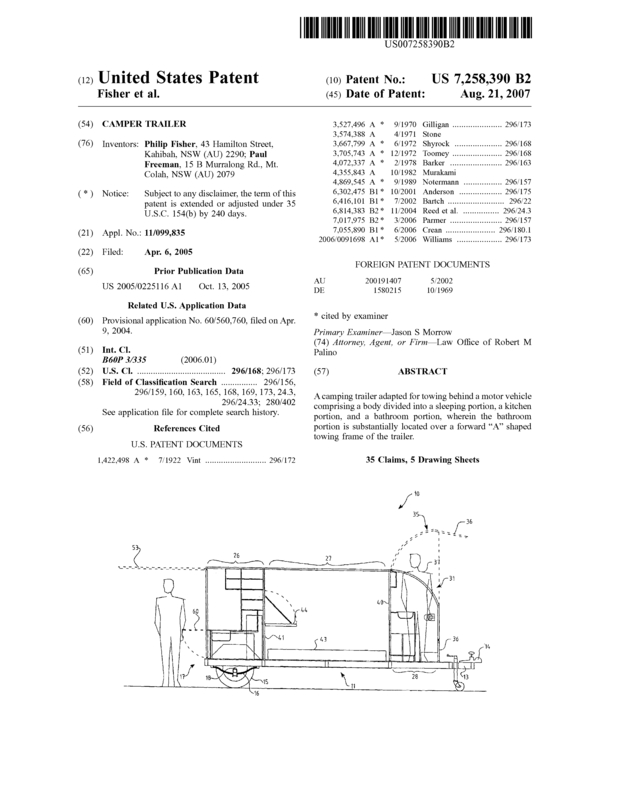 This is one of a pair of campers that working drawings and patents for sale. The other is an off-road version that is also listed on this site under OFF-ROAD CAMPER. This camper is patented in both Australia - AU 2004214553 and the US, which allows for export to a second country. If both units are sold, a trade mark ROAMER CAMPERS would be included in the sale. Page created at 2019-04-26 6:21:24, Patent Auction Time.